Years and years ago, content marketing was a revolutionary new development in the business world. It was an exciting, innovative new approach that would go on to change the way we think about marketing. Over the course of just a couple of years, content marketing evolved from a fresh new innovation, to the dominant industry paradigm. Marketing strategies come and go. In 1992, ads in the Yellow Pages phone book were a must have. Traditional advertising media that were golden just ten or twenty years ago are dusty and dated now. 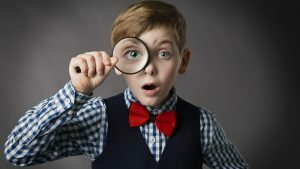 Billboards and magazine ads have long since given way to blog posts, Instagram, Facebook ads, and other digital channels. Will content marketing go the way of the Yellow Pages? If so, is it possible that it’s already happening? Is content marketing on its way out? Not only that, but today, the majority of marketers are reporting that not only is content marketing still effective, but they’re actually seeing better results today than they were last year. A recent article from MarketingProfs presents the results of a recent survey of B2C and B2B marketers, conducted just a couple of months ago in June and July of 2017. Some 870 B2B marketers in North America from a wide range of company sizes and industries responded to the survey in June and July 2017. A quarter (24%) of those surveyed say their organization’s overall content marketing approach is extremely or very successful; we consider these respondents B2B content marketing top performers. 63% of B2B marketers say their organization’s overall content marketing approach is much more or somewhat more successful than one year ago (compared with 78% of top performers). 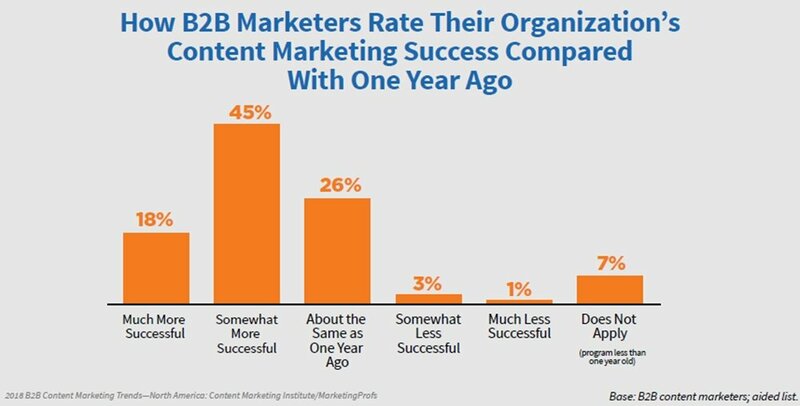 37% of B2B marketers have a documented content marketing strategy (compared with 62% of top performers). 36% of B2B marketers rate the project management flow during their organization’s content-creation process as excellent/very good (compared with 70% of top performers). 19% of B2B marketers rate their organization’s alignment of metrics and content marketing goals as excellent/very good (compared with 54% of top performers). You can find more of the latest 2017 content marketing statistics over at MarketingProfs.